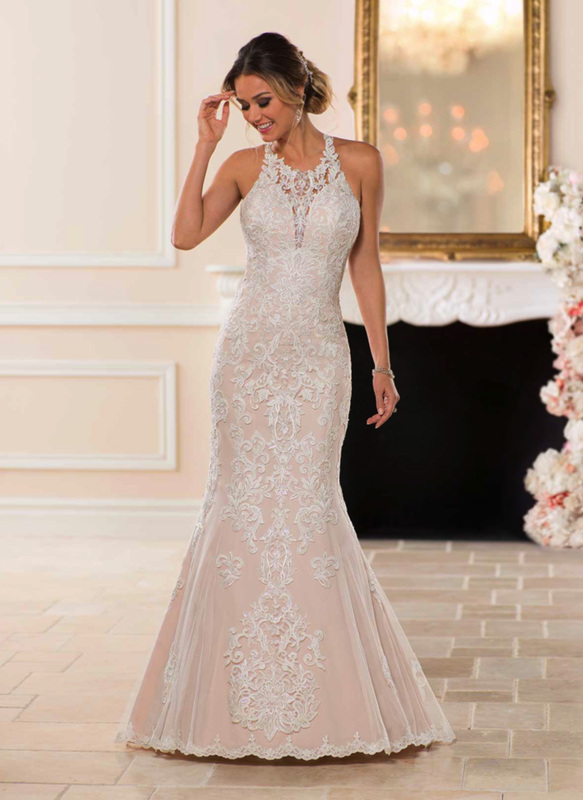 Totally unexpected and very fun, this wedding dress by designer Stella York is absolutely stunning! 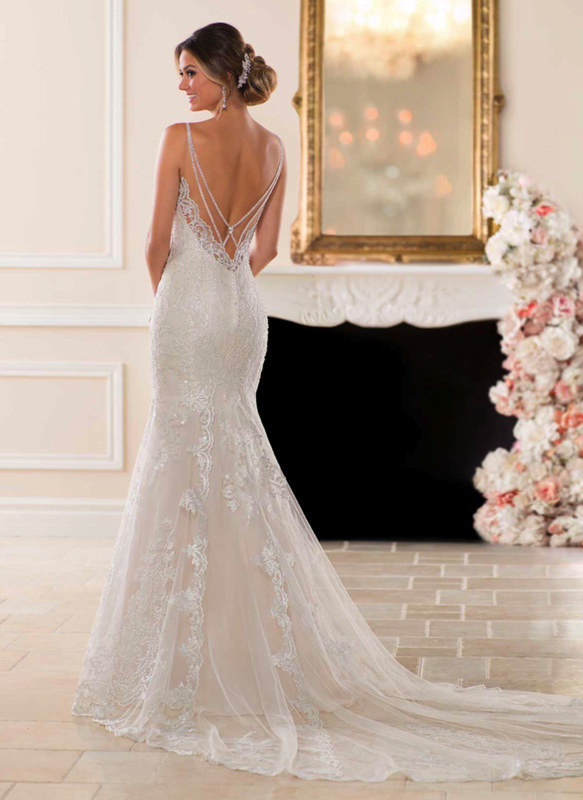 Lace and tulle over matte-side luster satin create a subtle mermaid silhouette with a lace halter neck. 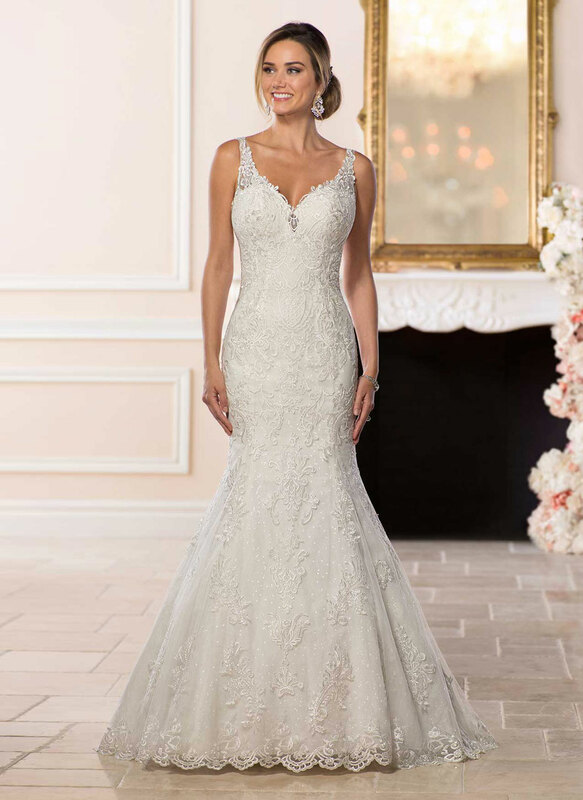 The neckline of this dress is incredibly unique with a V-shape and illusion lace overlay which matches the finished hemline of the dress. A soft, short train has a large print lace motif that matches the front lace pattern to create a symmetrical look. 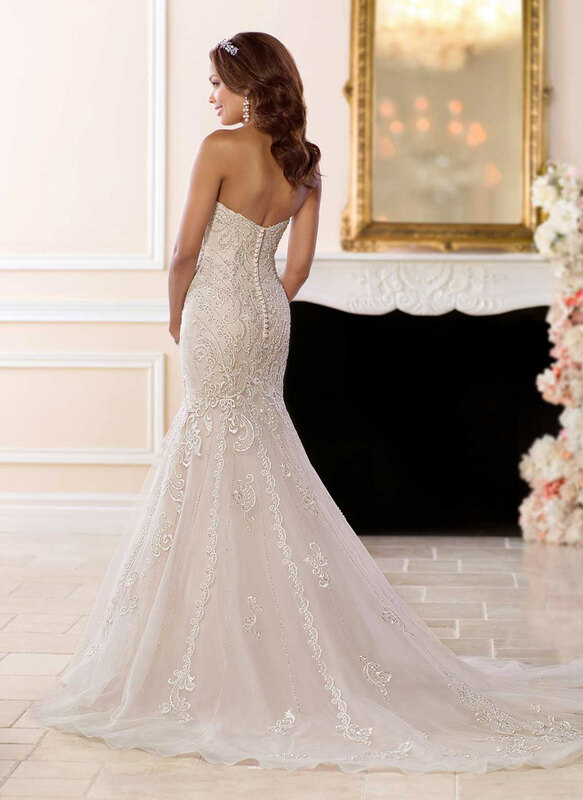 The dress has a soft shimmer throughout, adding just enough twinkle to brighten your walk down the aisle.